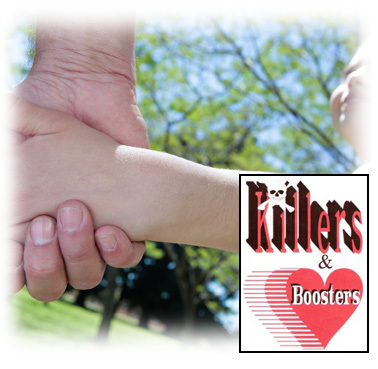 Who's In Charge of Your Child Custody Case? It better be you Because if you lose. . .
Everyone else still gets to go home to their children. Take Charge Of Your Child Custody Case Now! The most current information available for working with Mediators and Evaluators. Identify what the court would see as your problem behaviors and control them. Determine who you can talk to and what you can safely tell them. Panic Situations, what they really mean and see how other parents handled them. How to hire a great child custody or divorce attorney, fire a bad one, and sue a dangerous one. Compare your case to the oppositions case to see the problems in your case and fix them before the opposition can use them against you. Identify the oppositions short-comings and use them to your advantage. 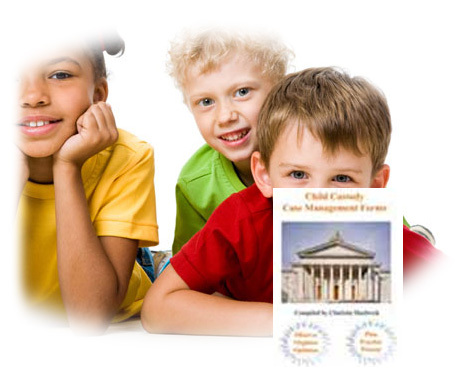 Hundreds of examples to gain and maintain control of your child custody case. The fill-in forms, worksheets, explanations and examples in this voluminous book will help you to better organize and analyze specific situations in your child custody case. It will also give you the ability to document and track the progression of your case while saving you countless dollars. Organizing your files, receipts and conversations will not only give you a better overview of your case, it will also help your attorney immensely. 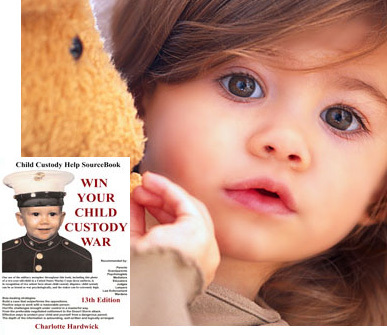 A great complimentary book to Win Your Child Custody War. Cases need evidence and credible witnesses make evidence admissible. Witnesses with a solid understanding of how and when they fit into a case can deliver their valuable testimony with confidence and ease. The confident witness will avoid common mistakes and tricks by the opposition. This indispensable book of tips, tactics and inside information will inform the novice and remind the experienced witness when preparing to deliver their critical message. Limit the amount of control the other side has over your life. Laugh or cry, you will see your case in a different light. What do you do when you are a child and your heart is breaking? You go to the biggest, strongest people you know; Your PARENTS. 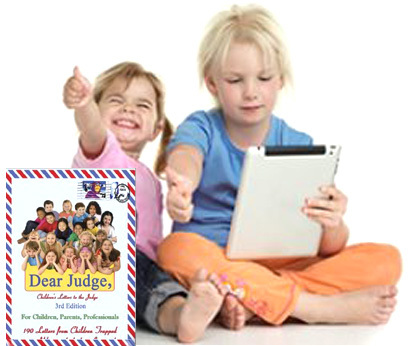 These are letters by children who went straight to the Judge with their Hopes, problems, questions and fears. Could your child have written any of these? I know about visitation because I have been going for 11 years. I have got there by car, van, 18 wheeler truck, train, taxicab and airplane. When I was a baby I didn't care. When I got bigger I would cry not to go. My dad would hold me and I would shake and cry. I wasn't afraid of my mom I just did not want to go away. I wanted everyone I loved to stay around me. I traveled to visitation and home 4 to 6 times a year for the big holidays, spring break and summer. Later I would get mad because my friends where I lived most of the time would get to do lots of stuff while I was gone. My dad said it was not only a order of the court but it was the right thing to do. It cost my mom and my dad a lot of money and trouble to send me back and forth. I would get upset and worried about going and sometimes I made a big deal out of it. I would say I never wanted to go ever again. Sometimes I would even throw-up. Stay in contact when the child in your heart does not live in your home.